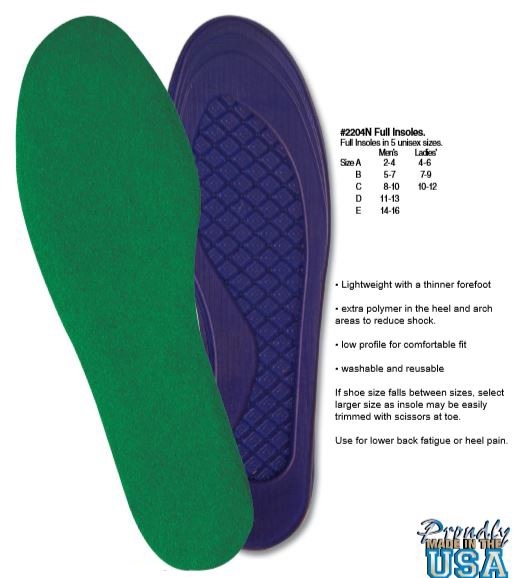 This lightweight full innersole for lower back fatigue or heel pain. It is washable and reusable. If shoe size falls between sizes, select the larger size as it is easily trimmed with scissors at the toe.